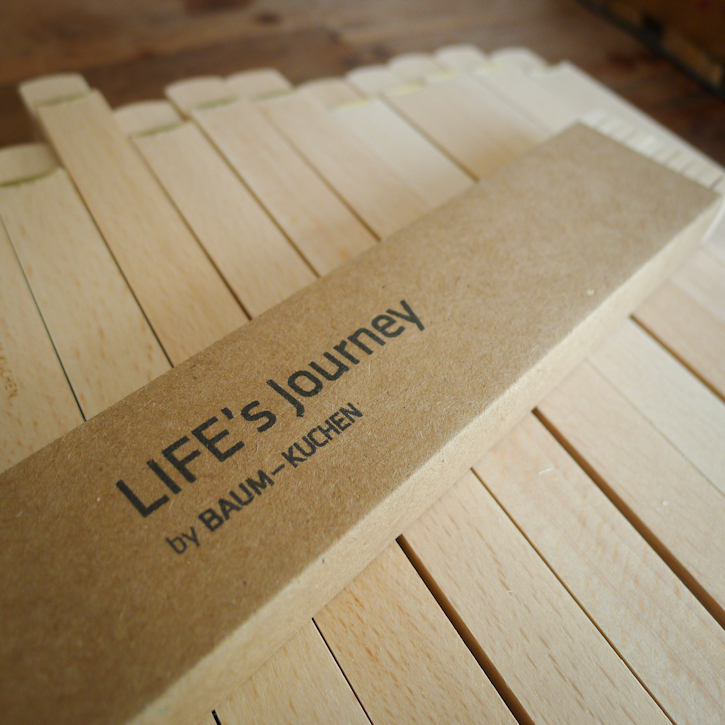 If you check the shop (or our Facebook page), you might have noticed LIFE's Journey measuring stick - the newest addition of the Baum-Kuchen original item! As newly parents (well... sort of. We're 2.5 year in! ), we struggled to find a good solution to track our Roo's growth. We have all white wall house (now marked with some crayons here and there... but still white!) and we just couldn't dare writing with a permanent marker on our wall. 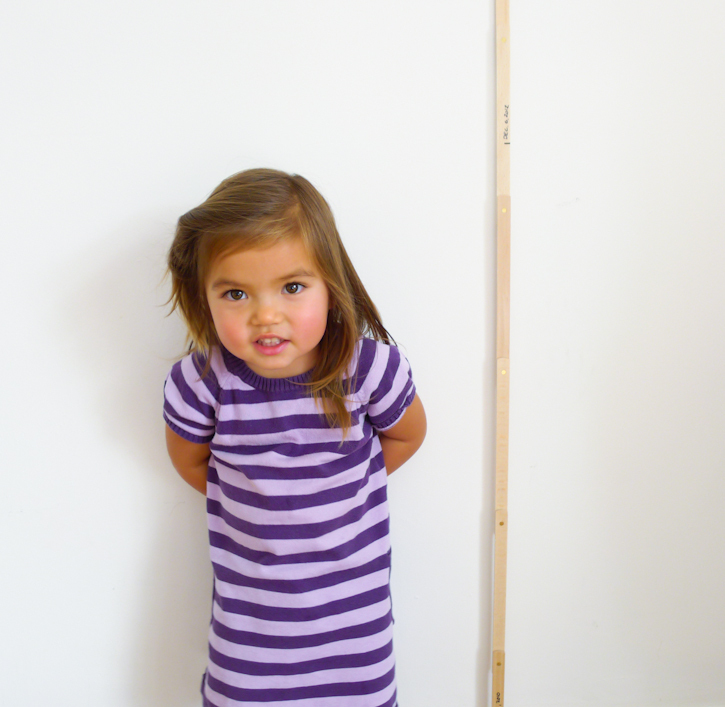 So we have been borrowing the wall at my parents' house since they already had markings for my youngest sister. Unfortunately..., my family moved often so my parents have no records of my growth. So we figured..., we would design our own. 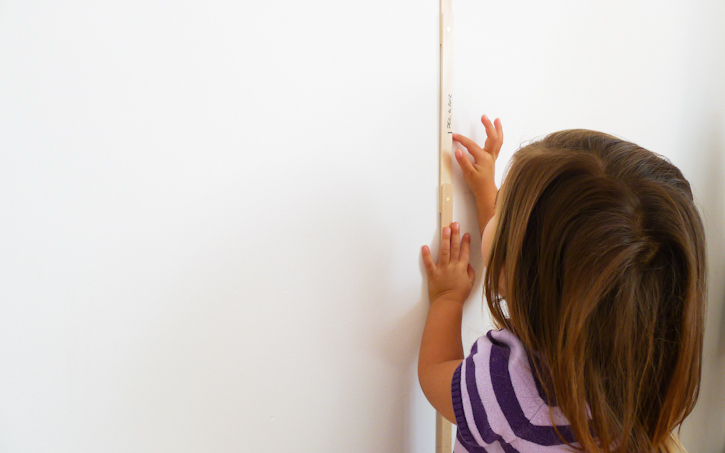 A simple and beautiful measuring stick that can seamlessly become a part of the house yet can be moved from one house to another when a family relocates as kids grow. We've been marinating ideas for months before we stumbled upon a simple discoveries. 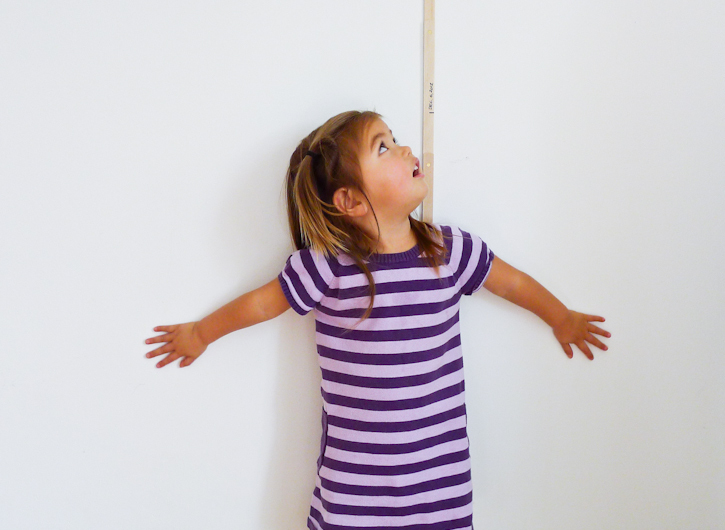 The German measuring stick which is used as a common ruler in Germany actually has a perfect collapsible mechanism! 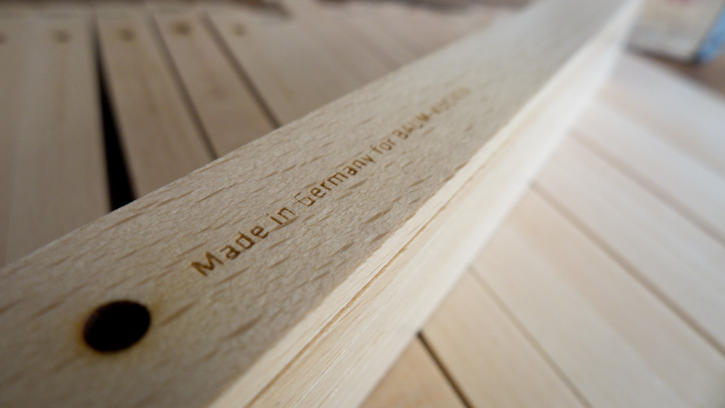 So while we were in Germany in September, we contacted a few local factories to ask for samples. 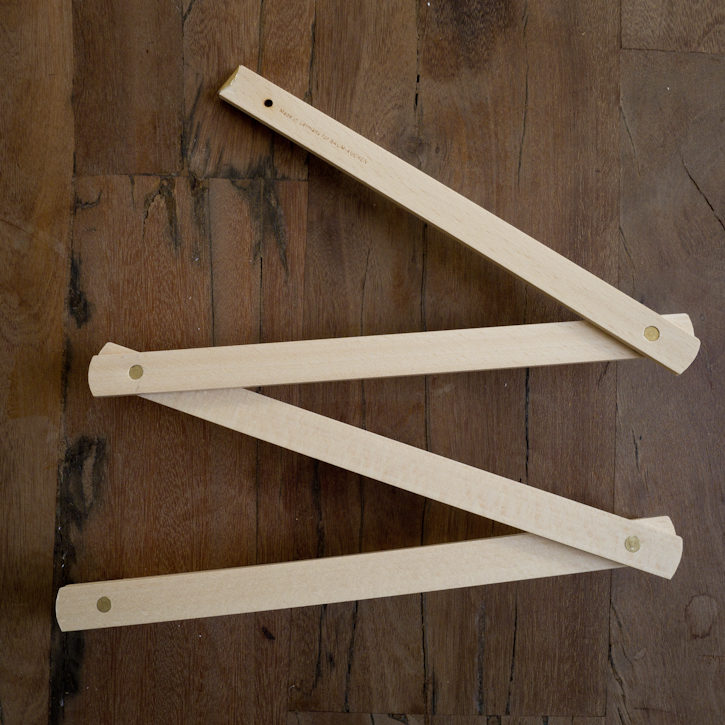 After reviewing multiple sticks, we have agreed that one stood out from the rest. 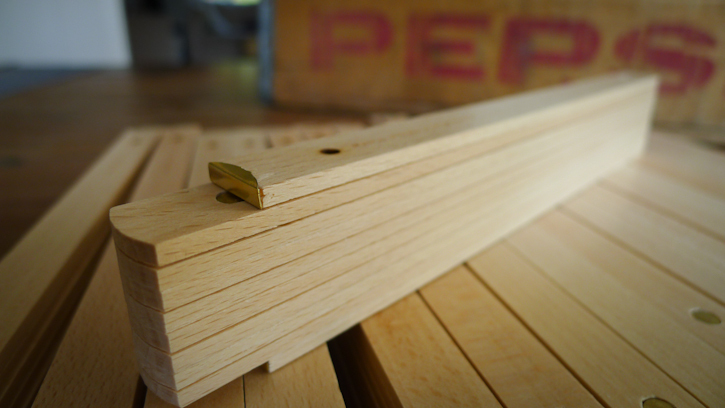 Their measuring stick had the best craftsmanship in details, consistent wood grains and used brass hinges instead of plastic ones. 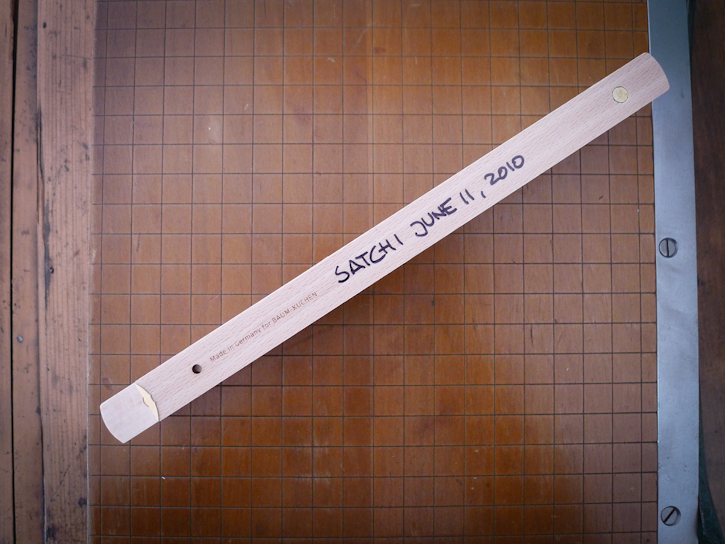 So we started back and fourth communication with the factory to produce measuring sticks without any measurement markings! We completed the design with top and bottom nail holes. We think it makes a very classy baby shower gift!